We've offered age appropriate family entertainment for hundreds of Churches, Temples and Religious Schools for more than 20 years. Choose from a wide variety of educational and entertainment activities both secular and non-secular. Whether you are celebrating a ground breaking, a milestone or anniversary we can keep the kids in your congregation busy. We're experienced in adding a carnival atmosphere to your Community Outreach event, Holiday Celebration or Fellowship. We provide Halloween alternative programs to keep the young ones safe and close to home. 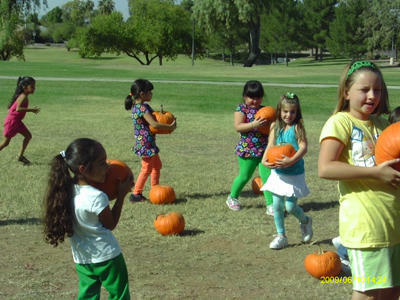 Our Pumpkin Patch and Petting Zoo can be a great way to celebrate a fall festival. Planning a fund raiser? A Child's Joy offers several ways to build the perfect event. We have package deals, special offers and unlimited ride wristband programs. We offer a variety of Animal attractions, Inflatable Bounce Houses and Games as well as a complete line of Professional Children's Entertainers. Since we own and operate our attractions you can eliminate the middle man and deal direct with one company for everything. Why pay separate crews to deliver individual items when there is one company that can do it all. One point of contact means you have more control of the event and singular accountability from us. We make it easy. A Child's Joy offers Passover Vacation packages for tour operators booking trips to the Phoenix and Scottsdale areas each spring. Our Entertainment package will be custom created to meet your special requirements during Passover. We offer discount package pricing for your Purim Carnival or Chanukah Carnival. Ask us about Free Inflatables when you book one of our Ride Packages for your special event. Perfect for your school or group, celebrate the fall season with a Pumpkin Patch that comes to you! We'll set up our Petting Zoo on your playground or parking lot and bring all the Pumpkins you need so every child can pick one for themself. This activity can be a great alternative to Halloween or Trick or Treating. We have plenty of fun, safe and age appropriate activities available for all ages of youth. 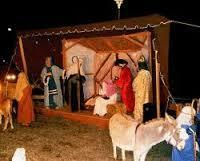 Our "Living Nativity" provides you with live animals for your Christmas Pageant or display. Donkey, Sheep, Goats and more are available. These hand-tamed animals have been raised for our Petting Zoo and are docile and friendly. 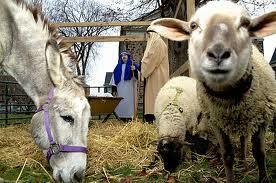 They can be led or held by the Shepherds or kept in a pen. "The Animals of Bethlehem" is a wonderfully educational visit from our petting zoo that incorporates breeds that were historically kept at homes and farms on that first Christmas. Perfect for Christian Schools, the program offers a "hands on" approach to history and Scripture. Available for Vacation Bible School too. For Easter, many churches enjoy a visit from our Baby Animal petting zoo. We offer package discounts when you add a Bounce House, Face Painter, Balloonist or Pony Rides. You'll probably see some new faces on Easter Sunday. The Petting Zoo and other activities you plan for before or after services will keep familes around longer for fellowship and community building. Engaging the kids with some extra fun gives you more opportunity to make real connections with the members you don't get to see every Sunday. 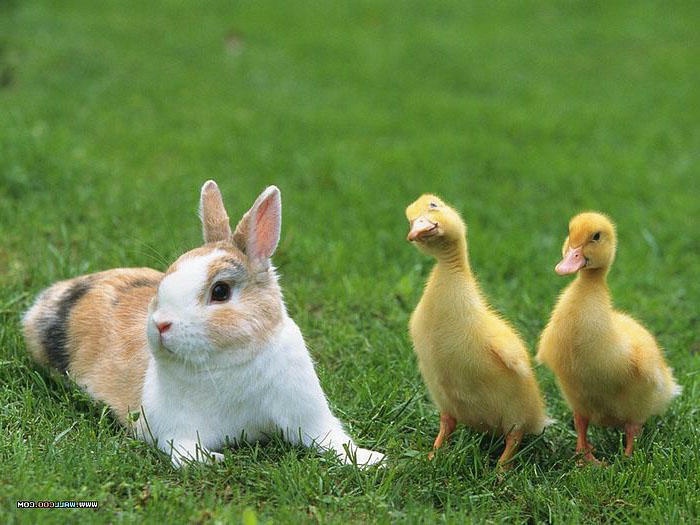 Remember to reserve early, we book up for Easter Weekend. For Mother's Day we bring many of the mommies and their babies born or hatched on our farm each spring so you can celebrate mothers at your Church, Temple or Mosque. 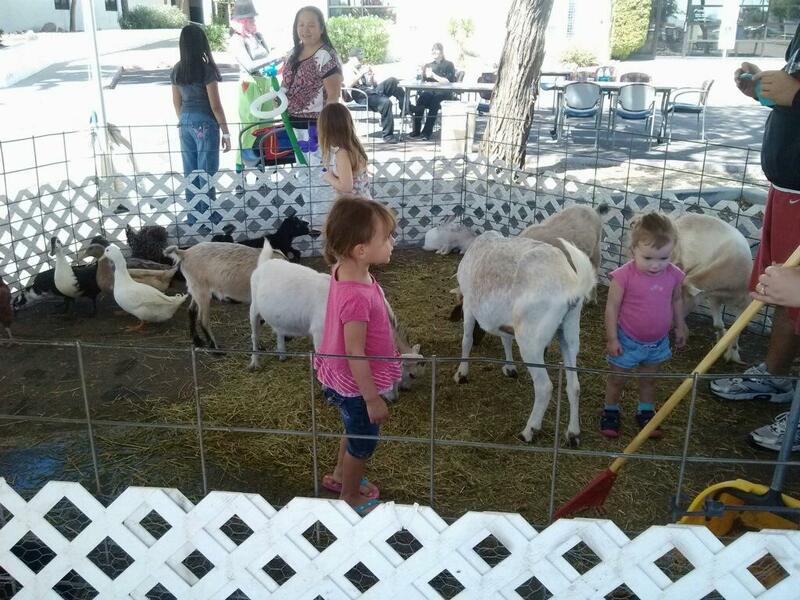 Added to the regular Petting Zoo are Chicks, Ducklings, Baby Bunnies, Lambs and Baby Goats. Think of what you could do with a 6'x12' inflatable movie screen! Plan a movie night or rent our screen or other inflatable games for lock-ins, retreats, mother's day out programs or Teen Nights. 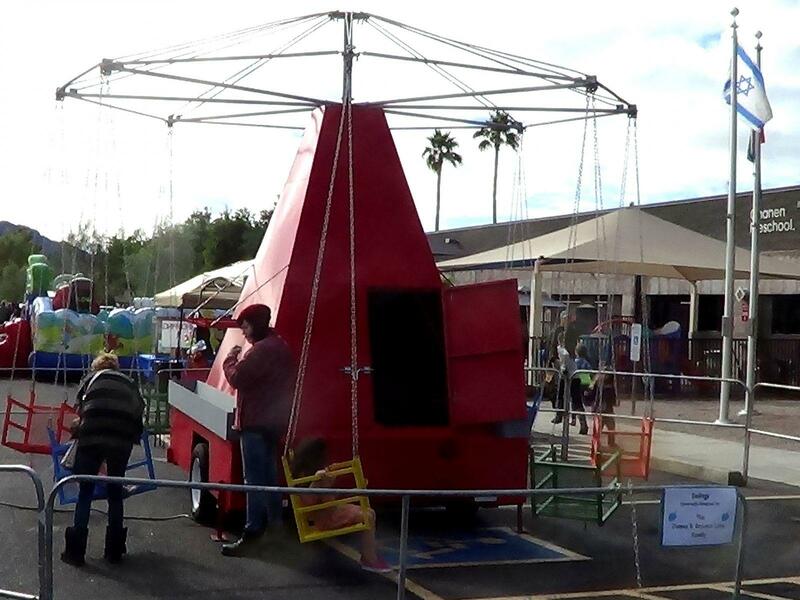 We have a Mechanical Bull, Rock Climbing Wall, Obstacle Course, Ferris Wheel and Gyro. 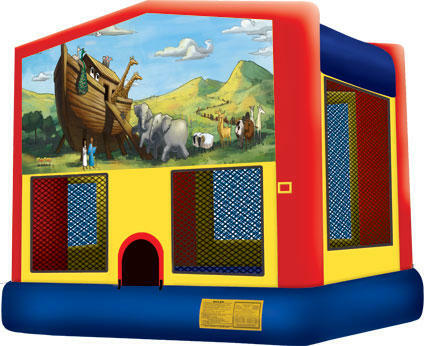 We offer a complete selection of Inflatable Bounce House Rentals, Interactive Games and Water Slides Rentals. 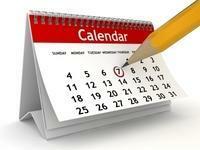 Take a look at what is available for your event right now by clicking the calendar. For more information, please call us at 480-820-8030. For a limited time book at least three rides for your event and receive a moon bounce at no additional charge. Some restrictions apply. For rates and reservations please call 480-820-8030. Special offer for Churches, Temples and Religious Schools only. Offer expires 12/31/18. No more than one free moon bounce per event. Not to be combined with any other special offer or coupon. Moon bounce requires electricity. Customer is responsible for electricity and supervision. Length of free moon bounce limited to length of rides booked. To qualify for free offer, three rides booked must not include another moon bounce. Fountain Hills, Casa Grande, Florence, Coolidge, Anthem, Cave Creek, Carefree, Paradise Valley, Prescott, Flagstaff, Payson, Showlow, Pinetop, Globe, Marana, Eloy, Gila Bend, Phoenix, Phx, Scottsdale, Mesa, Tempe, Chandler, Gilbert, Queen Creek, Apache Junction, Peoria, Glendale, Surprise, Laveen, Avondale, Buckeye, Goodyear, Litchfield Park, Maricopa, Wickenburg, Tucson, Tolleson, Pima County.